NIPRA is engaged in the business of manufacturing aluminum ROPP closures, printed aluminum and tinplate sheets. We carried out a host of services for the company ensuring perfect and timely execution. 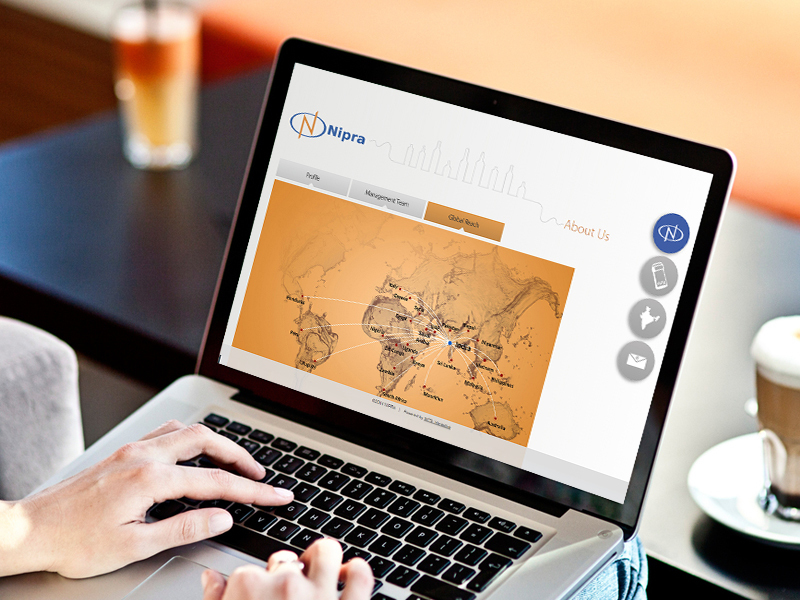 Following the same theme, once again we have created a new website for Nipra. A clean and neat home page which shows a bottle with a cap followed by a line art depicting the various closures the company manufactures. A fluid website has been created adaptable to all platforms on a clean white backdrop, making it visually striking and interesting. The products section has been colour coded individually, to make it look brighter and enthralling. A completely new design perfectly complementing the company's business has been delivered. Nipra carved the right global brand conversation using the solutions we provided to them. They realised their aim of creating the intended global presence, armed with the multiple platform offerings that we had created for them.